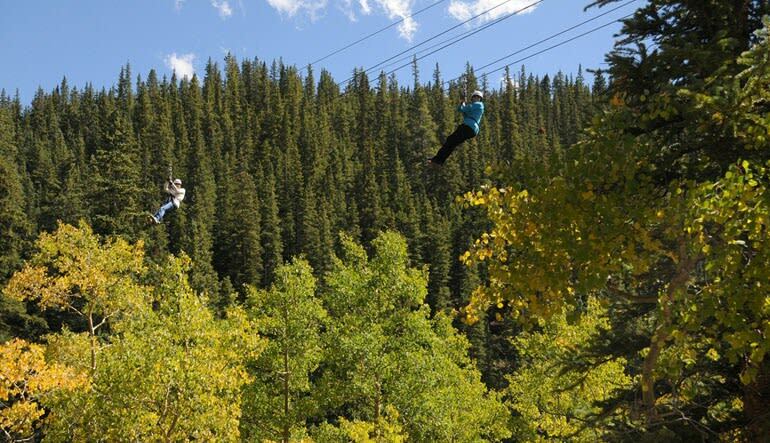 Get amazing scenic views from the ground and air on this unique zip line and Railroad tour. 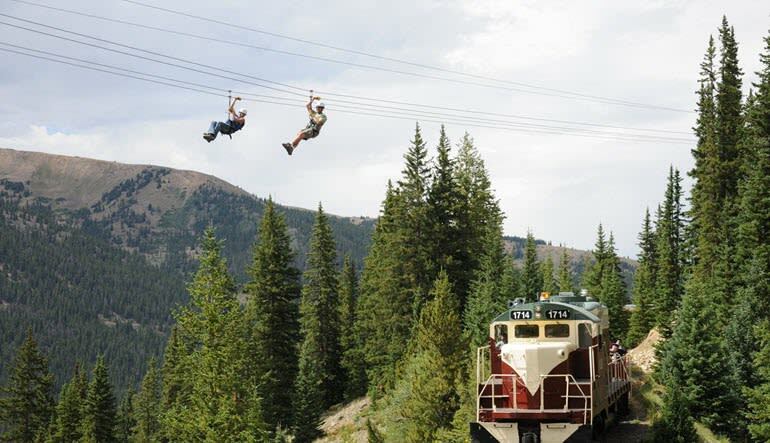 Get amazing scenic views from the ground and air on this unique zip line and Railroad tour. After you check in at base camp you will be shuttled over to the railroad station in Leadville where you will hop on the train and travel 1,000 feet above the valley, travelling through private wilderness areas surrounded by breathtaking Rocky Mountain views. 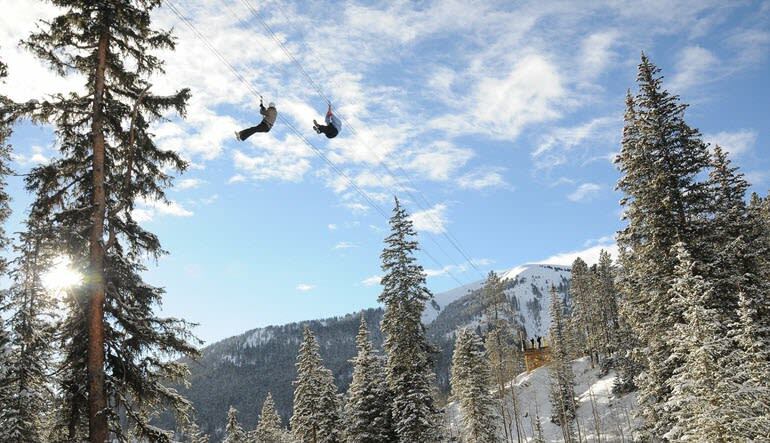 At around 11,000 feet, atop the continental divide your train will stop at the station where zip line guides will be waiting to take you to the high mountain yurt where you will enjoy a delicious lunch compliments of the historic Golden Burro Restaurant. After lunch you will partake in a brief flight school before heading up to the first of six zip line platforms. As you zip through the mountainside you will experience world class views of deep canyons, plush alpine meadows and easy flowing brooks far below. During your tour you will see where miners dug to find gold at over 40 different sites. 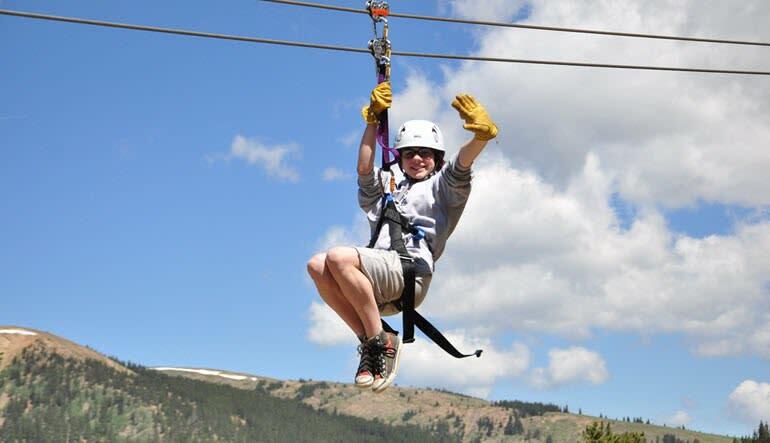 After your zip line tour, photos and videos are available at base camp for purchase. What a great group of people! It was a really wonderful experience. Must weigh at least 65 lbs.